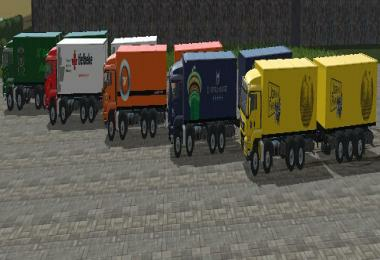 Extra trucks for the Joran´s Farm map. This includes diverend skinns and diverend trucks. 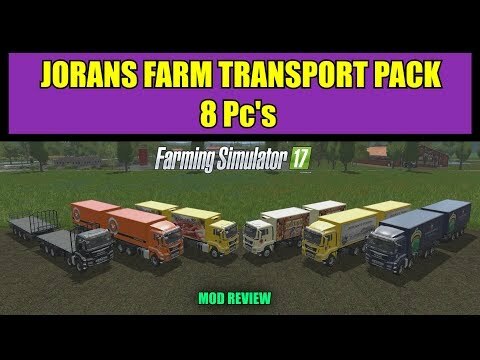 A must have if you play Joran´s Farm. The final version is out now to download from the website. Without all these people I couldn’t build a map. This is a part of the ATC Vehicle Pack build by Alfredix from the LS-Modcompany : https://ls-modcompany.com/filebase/file/121-atc-vehicle-pack/There are no Credits for his work, he modded this Pack noone else!! So don´t speak of "Respect" if you can´t give the right Credit´s!Shame on you!!! I have no clue who uploaded this mod to this site. I apologize to the mod ATC creator and all others that contributed to the original mod. Sadly I have no control on what info was used for this upload but i am trying to find the uploader to get this info edited to the correct credits. I will use the comments to post the credits that should of been used that are pulled form the mod desc. It will take a couple of comments tho to do it since there is a word limit on posts.